1. 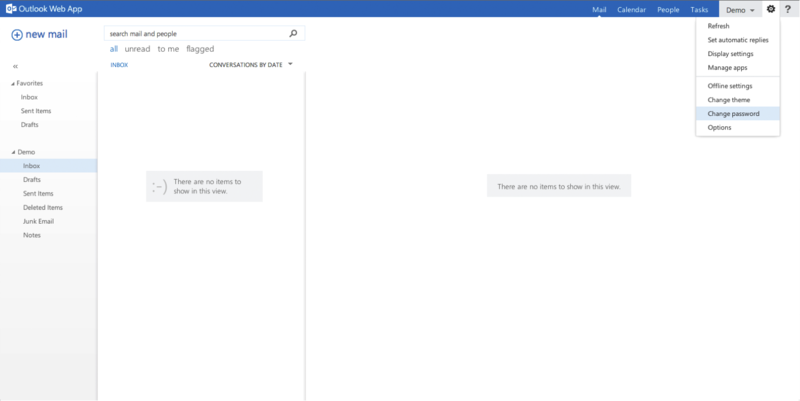 Go to https://secure.iedgemail.com and login to Outlook Web App (OWA) with your email address and password. 2. After you login, you'll be asked to configure your language and time zone settings. Select your language and time zone from the dropdown list, then click on the Save button. 3. Next, we'll proceed to change your default password. 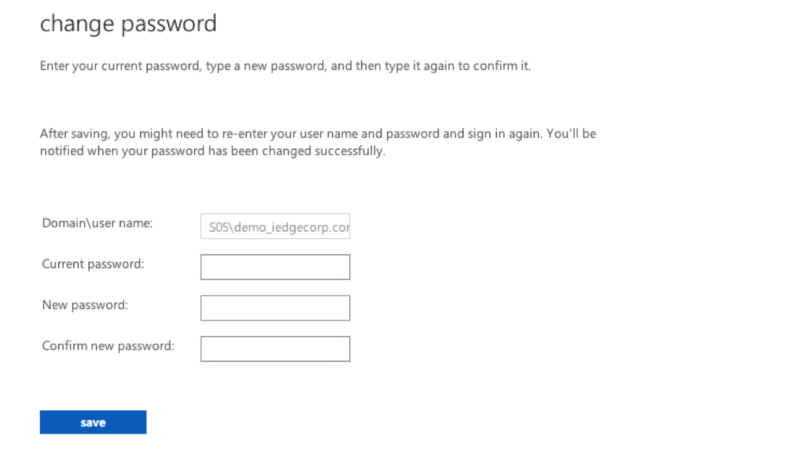 Click on the Settings icon on the top right hand corner of OWA, and then click on Change password. 4. Enter your current and new password into the textbox, then click on the Save button. After saving your new password, you'll be redirected to the login page. Enter your email address and new password to login to OWA again. 5. Congratulations! You're done with the setup of your Exchange 2013 account and may start using it right away.